Ice cream sandwiches are out, gelato burgers are in. At least according to Amorino, the Euro dessert chain which serves up artisanal gelato across NYC. They're already famous for their rose petal-esque scoops, which can come garnished with a macaron, but their latest creation is sure to take over foodie Insta feeds this spring. 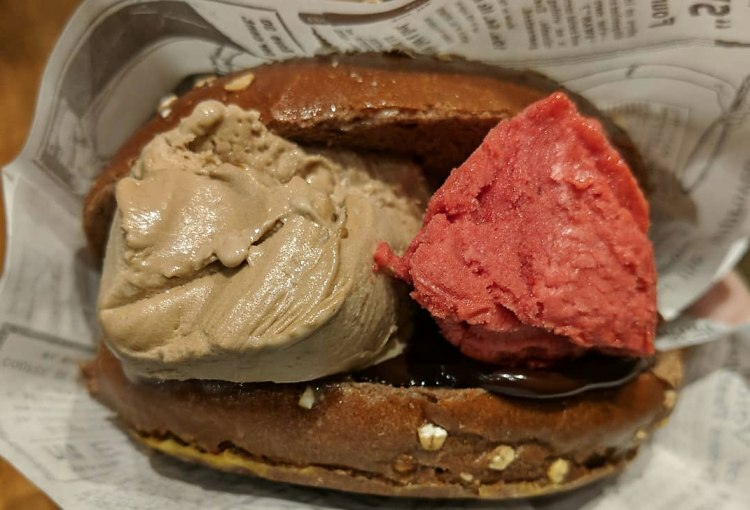 Behold, the "Gelato Burger," made up of two scoops of your favorite flavors sandwiched between chocolate buns. Instead of ketchup, you can top it off with your choice of dark chocolate, pistachio, or chocolate-hazelnut sauce. Yum.